We are interested in technical diving, underwater photography as well as recreational diving. 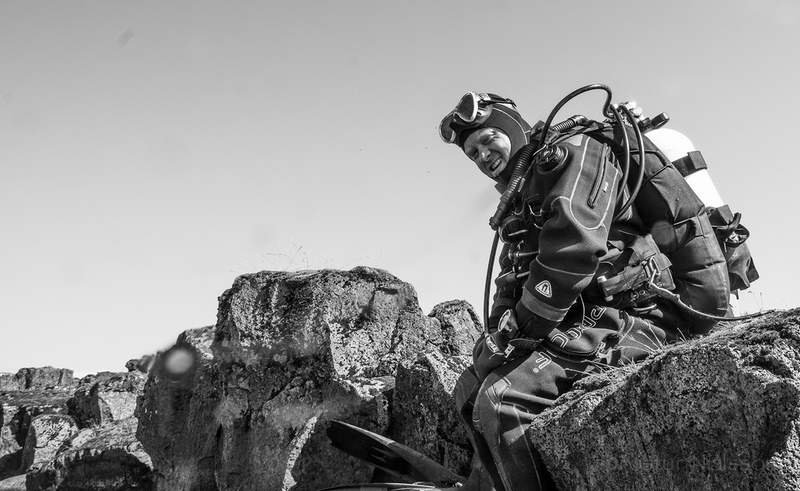 We take active part in Iceland’s dive community and try to contribute to dive projects like dive sites clean up and research projects as well as underwater exploration around Iceland. We teach diving and run dive tours in Iceland. Sigurður J. Haraldsson SDI instructor and PADI instructor. Owner of Icedive.is. He learned to dive in 2004 in Thailand and did his dry suit course the same year in Iceland. Since then he has been an active diver. In 2007 he did he dive master course in Thailand and in 2009 he became a PADI instructor in England. He has since then finished his technical PADI tec rec 50 and PADI tec rec trimix diver course. In 2011 he took part in planning and organizing the dive on the wreck of US Coast Guard Cutter Alexander Hamilton, where he was a support diver. He is also a AIDA2 freediver. Sigurdur has also done his crossover to SDI and is planning to become TDI technical instructor in the future. Þröstur Njálsson is a underwater photograper. Started diving 2012 and soon started taking under water photos. He uses Nikon and Aqutica housing for his photography.